I lost on hundred and thirty one pounds over two and a half years. 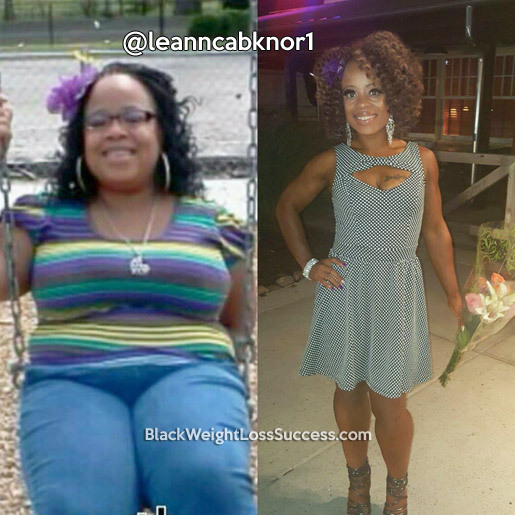 I started my weight loss journey when I was threatened with high blood pressure. I lost the pounds by working out and eating clean. My health. My motivation for losing weight was the health scare of being at risk for high blood pressure. My doctor wanted me to start a regime of pills to control it. I was not going for that and decided to change my health. I met a lady at a good friend’s bridal shower who was starting a weight loss journey into bodybuilding. I was so fascinated about the process that she was doing. I said to myself, “I know that I can do that.” So, I trained and competed in my first physique body building competition in June 2015. I stuck to grilled or baked lean meats, like turkey, chicken, shrimp and fish. I also ate lots of green vegetables and had nuts and cheese from time to time. 5-6 small meals a day and at least a half gallon of water a day is what worked for me. No fried food, breads, chips or pasta because my meals were low in carbohydrates. I love dance classes, boot camps and circuit classes mixed in with my weight and strength training. When training, I would lift every day, switching to a different muscle group each day. Don’t stop! You will not be able to reach your goals overnight, but once you get stated you will love the person you have become. You’ll love living in a healthier state.